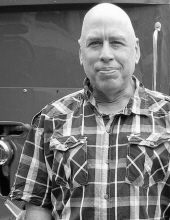 Mr. John Kevin Douglas, age 55 of Toccoa passed away Tuesday, March 19, 2019. A son of the late Jack and Barbara Douglas, he was born September 9, 1963 in New York. He was a 1981 graduate of Etowah High School and later graduated from UNG with a degree in accounting. He enjoyed riding motorcycles, being outdoors, camping, fixing things and helping others. Survivors include two brothers and sisters-in-law, Matt and Amanda Douglas of Gainesville, Georgia and Steve and Tiffanie Douglas of Augusta, Georgia; sister, Christina Branch of Flowery Branch, Georgia. In lieu of flowers, the family has requested that donations be sent to Acree-Davis Funeral Home, P.O. Box 130, Toccoa, Georgia 30577 in memory of Mr. John Douglas. Acree-Davis Funeral Home is in charge of the arrangements for Mr. John Kevin Douglas. To send flowers or a remembrance gift to the family of John Kevin Douglas, please visit our Tribute Store. "Email Address" would like to share the life celebration of John Kevin Douglas. Click on the "link" to go to share a favorite memory or leave a condolence message for the family.